So, Book 4 in the Matchmakers of Huckleberry Hill series. Oh that grandmother Anna can be sly. And grandfather Felty is definitely not on board with the deceit. But the matchmaking keeps succeeding, so they keep on doing it. Spring brings Emma to the farm to help grow a pumpkin. Then Anna tells a few white lies to get her grandson Ben back to Wisconsin from Florida. He had escaped there after breaking off his engagement to … yes, Emma. And the re-matchmaking begins. This time, it’s more than just hearts on the line. Ben has a medical issue he’s not willing to share. Emma has strength of spirit but also a will to not get her heart broken again. 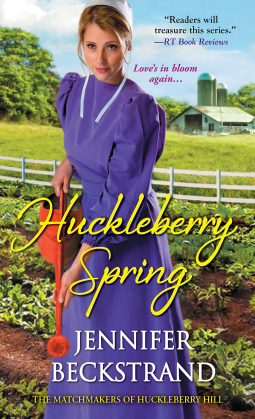 I just love the innocence and Godly love in Beckstrand’s Huckleberry Hill books. I appreciate the family loyalty and the harmless jokes. And there’s always a sense of adventure! I found this book especially romantic, because I could truly feel the love between Emma and Ben… and they could too.